through the open spaces in a metal screen. the painful knot of us—mother and child. Lynn Marie Houston holds a Ph.D. from Arizona State University. 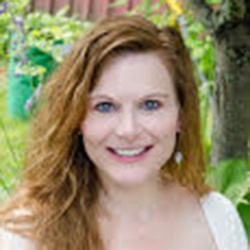 Her first collection of poetry, The Clever Dream of Man (Aldrich Press 2015), won the 2016 Connecticut Press Club prize for creative work and went on to take 2nd place in the nationwide competition sponsored by the National Federation of Press Women. Poems and essays by her have appeared in journals such as Painted Bride Quarterly, Ocean State Review, Word Riot, Squalorly, and many others.